Now you can get your paws on the largest silver version made available exclusively at the show! 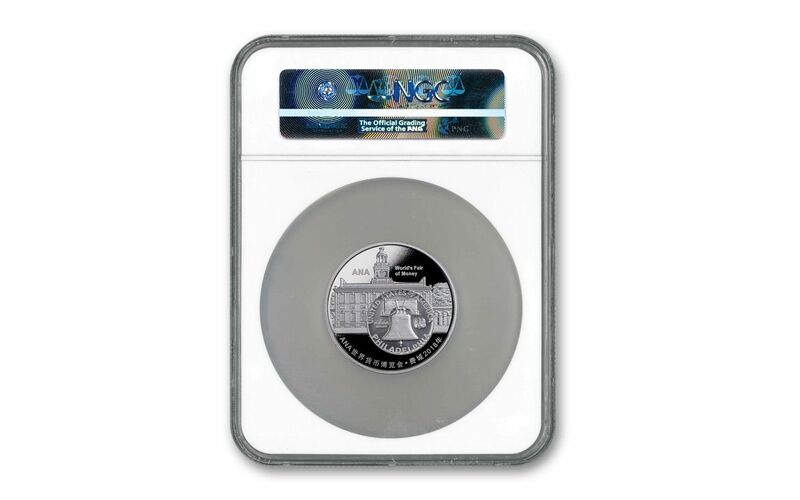 This 50-gram silver proof is struck in 99.9% pure silver and is a whopping 50 mm in diameter. The obverse mimics the design used by the China Mint for its 2000 Panda release. The Panda is shown holding the ANA’s “Lamp of Knowledge” logo along with the year date and precious metal content. As an added feature, the ANA logo is gilded in gold. The reverse features a modified version of the Franklin Half-Dollar with Philadelphia’s famous Independence Hall in the background. Certified as being in gorgeous Gem Proof condition and sealed in an acrylic protective capsule by the Numismatic Guaranty Corporation (NGC), each 2018 ANA Show Panda Proof also bears an exclusive label that designates it as a “Show Release” and First Day of Issue (FDI) piece. This mintage was extremely limited – just 888 – and will never be struck again. STRUCK IN HIGHLY-PURE SILVER – Each 2018 Philadelphia ANA Show Silver Panda Proof was struck in 50 grams of 99.9% silver and measures a large 55 mm in diameter. 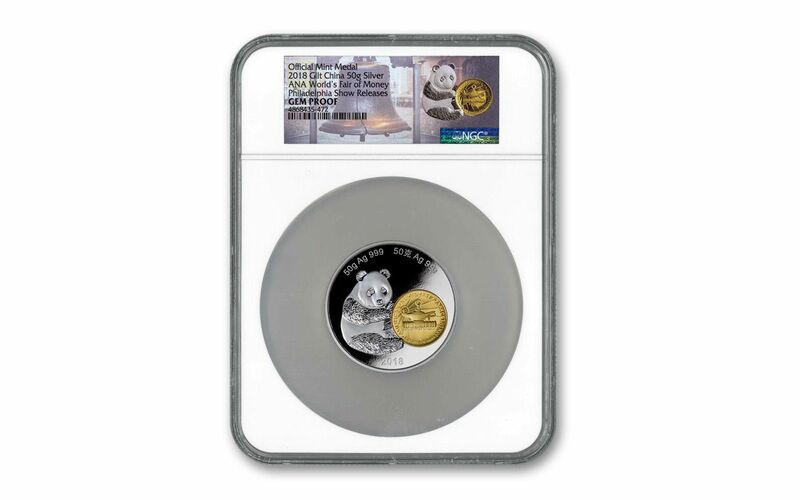 GRADED AND CERTIFIED BY NGC – Your 2018 Philadelphia ANA Show Silver Panda Proof has been certified and graded by the Numismatic Guaranty Corporation (NGC) as being in Gem Proof condition, meaning it was expertly crafted by the mint from hand-selected planchets, polished dies and multiple strikes to produce beautifully frosted details rising over mirror-like fields! KEY FIRST DAY OF ISSUE CERTIFICATION – Your ANA Show Silver Panda Proof will also be certified as a First Day of Issue (FDI) release by NGC, meaning it was received by NGC or an NGC-approved depository by the release date or on the business day within 24 hours of the official release date. EXTREMELY LIMITED EDITION – Only 888 of these exclusive silver Panda proofs were ever struck by China’s Shanghai Mint – a fitting number since the number “8” has long been regarded as the luckiest number in Chinese culture. Your proof will come sonically sealed in an acrylic coin capsule with a special ANA-themed label.